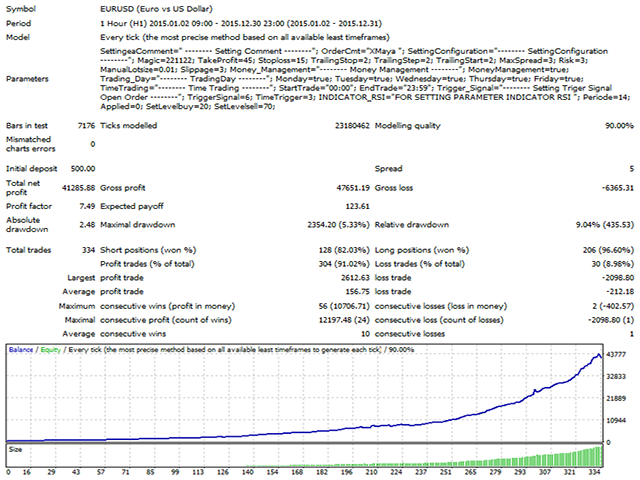 XMaya Scalp ZR Series is a fully automated Expert Advisor designed for Traders. 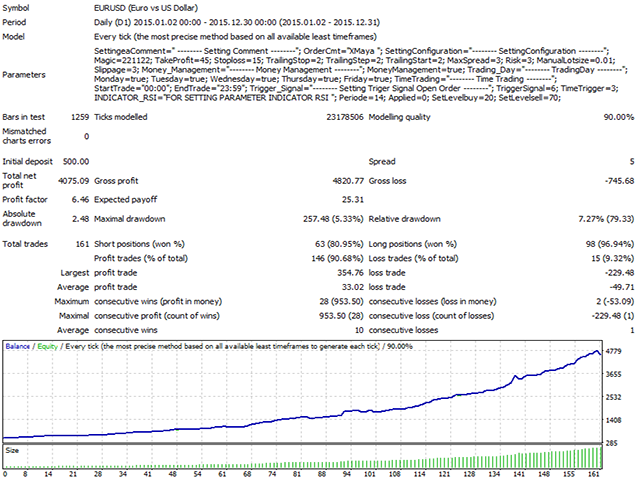 XMaya Scalp ZR Series is a robot trader with multi-currency scalper Expert Advisor. 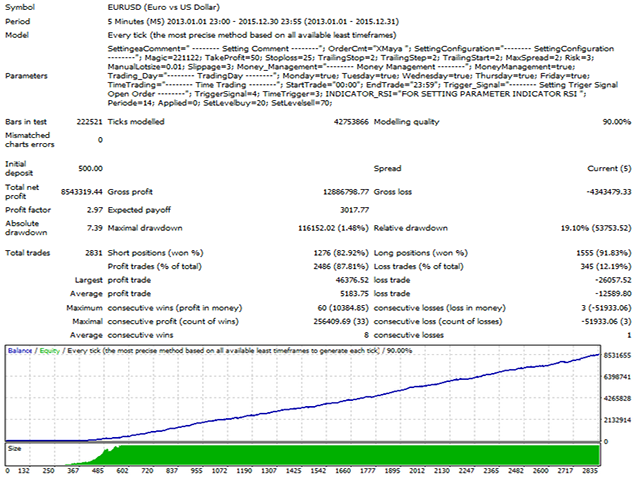 This robot trades on any Time Frame, Can be use on all pairs but not for use on XAU/GOLD. The system is ready-to-use with the setup is simple, with simple optimization on Take Profit, Stop Loss, and Trailing. Magic - Magic Number to identify the order's mode for the EA. TargetProfit - static target profit. Stoploss - static stop loss. 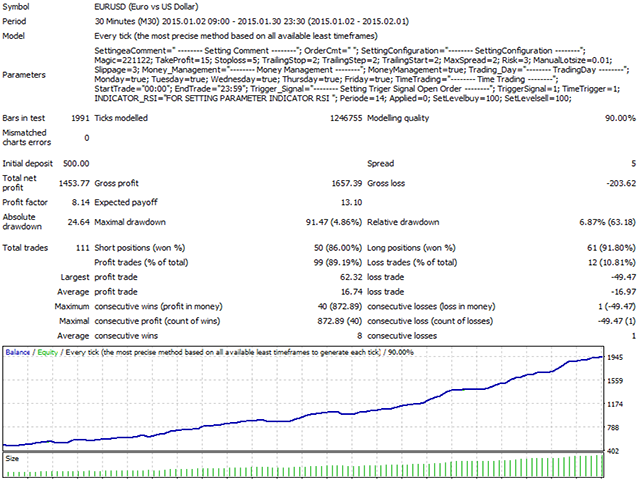 TrailingStop - distance (in pips) to trail an open position. MaxSpread - maximum spread allowed at time of trade. 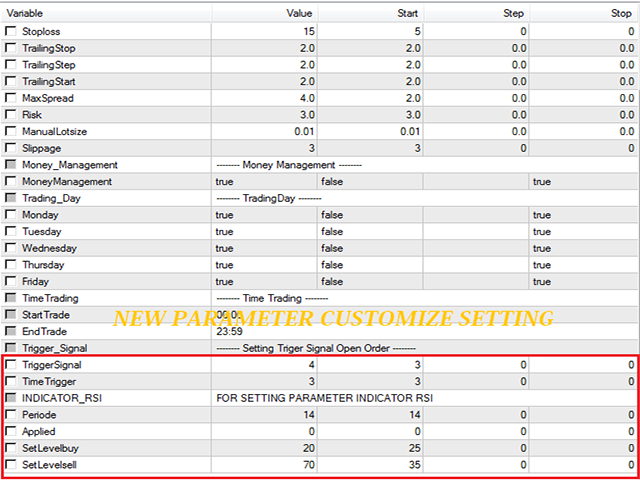 Risk - risk setting to be used with dynamic lot sizing. ManualLotsize - if using fixed lots, this will be the lot size. MoneyManagement - choose between "true/false" in the drop-down menu. Set to true to enable auto money management. If false, ManualLotsize is used. TriggerSignal- For Setting Trigger Signal open order. Monday = True - set true to activate. Tuesday = True - set true to activate. Wednesday = True - set true to activate. Thursday = True - set true to activate. Friday = True - set true to activate. Don't wasting money on this EA. 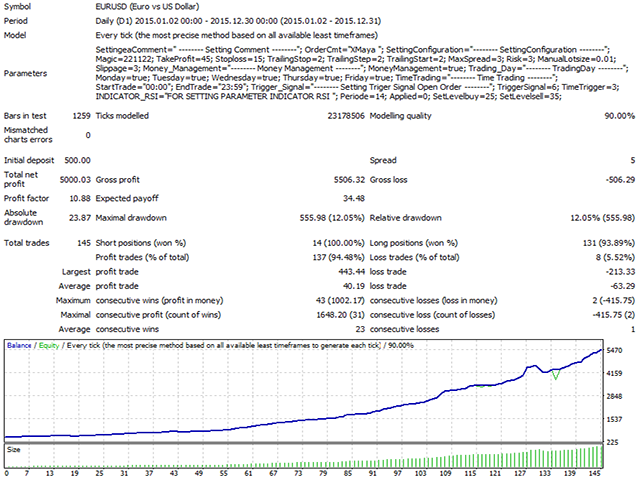 This EA only show good results on backtest and make big loss when running on real account. Beware of this scam EA ! !